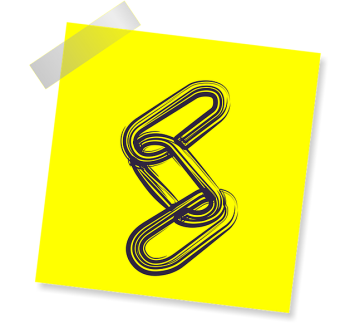 Among the many moving pieces of SEO, link building is often overlooked but incredibly important. You can have the perfect on-site optimization, content with immaculate copy and eye-popping imagery; however, you won’t get noticed in the SERPs without other high authority domains linking to your site. If your PT site is brand new or simply hasn’t had a lot of time to rise in the SERPs, what can you possibly do to build links from the bottom-up? Thankfully, there are actionable steps you can take right now to begin building your PT site’s link profile without breaking the bank. The following link building strategies require little more than an investment of your time: likewise, they represent the “low-hanging fruit” that could be the building blocks to boosting your search rankings against the competition. Although social links are often no-follow links which don’t have a direct impact on your domain authority, trickling traffic from social media is a positive signal to Google, who wants to see that you have a variety of sites linking to you. Building links often requires you to “get in the trenches” and put your content out in the open for the world to see. There are various approaches to doing this, although you have be incredibly careful as not to needlessly spam your own links in your quest for new ones. This strategy is not only gets more exposure for your content, but provides a home for your links granted you’re not coming off as a spammer. Beyond social media sites, there are a number of business directories where you can submit your practice to build its backlink profile. From sites like Yelp and ChamberofCommerce.com to Google’s “My Business,” these seemingly small sources of traffic can add up over time. Although guest posting may be viewed as a more advanced link building technique, it’s a fantastic way to build incredibly powerful backlinks that could send highly targeted traffic to your site. In short, pitching ideas for blogs on a site other than your own may seem backwards as you create content for someone other than yourself: however, the long-term SEO benefits are difficult to ignore. If you’re struggling with link building or simply need help with your PT site’s content marketing strategy, consider how PatientSites can help build up your backlink profile sooner rather than later.